The daughter of Jordanian immigrants, Melissa Abu-Gazaleh was born in Wollongong, NSW in 1986. 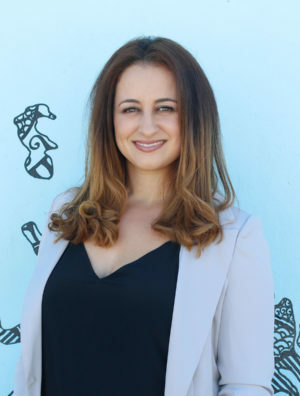 Growing up under the strong influence of hard-working parents, Melissa finished High School before completing a Bachelor of Communication and Media Studies (Marketing) from the University of Wollongong and a Diploma of Community Services from TAFE. At age 19, Melissa founded and became CEO of the Top Blokes Foundation. This groundbreaking organisation is focused on improving the mental health and wellbeing of young men in Australia. Since its inception, the Top Blokes Foundation has worked with over 11,000 at-risk youth and become Australia’s leading social education organisation for young people. Melissa believes empowering young men to challenge and redefine their own thoughts and behaviours is key to reducing many social issues including youth suicide, family violence, drugs, alcohol and other anti-social and risk-taking behaviours. She leads a committed team who share her vision for a brighter future. In 2017, Melissa was awarded EY’s Social Entrepreneur of the Year. She was 2016’s NSW Young Australian of the Year and named in Australian Financial Review’s Top 100 Women of Influence. An accomplished public speaker as well as entrepreneur, Melissa sits on a number of boards and has presented at many national and state based men’s health conferences. From a young woman with passion to CEO of a social venture, Melissa overcame a number of challenges to learn the ropes of running a company during her twenties. Today, she and her team deliver innovative social education programs which encourage young men to be healthy and safe. Melissa currently resides in Sydney with her husband. She is as passionate as ever about empowering young men to be agents of change, not tomorrow, but today.